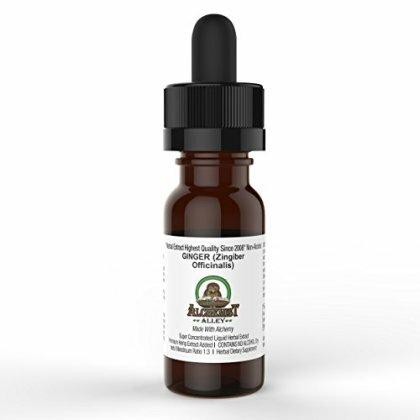 • SAFE & ORGANIC: Alchemist Alley Ginger is a natural formula that contains a pure amount of hemp seed oil, and completely safe and organic. • MULTIPURPOSE USE: Hemp Seed Oil can be used in multiple safe and healthy ways, including as a tincture, orally. • VEGAN FRIENDLY: An all-natural formula containing Hemp Seed Oil, Ginger root extract, vegetable palm glycerin, purified water and lactose free..
• HEMP SEED OIL: Enhances effects of Ginger Root. • GINGER ROOT: Encourages gastrointestinal health.